One month after an isolated tribe killed an American missionary as he attempted to make contact, Indian police have not tried to retrieve the body of John Allen Chau from his remote island grave. 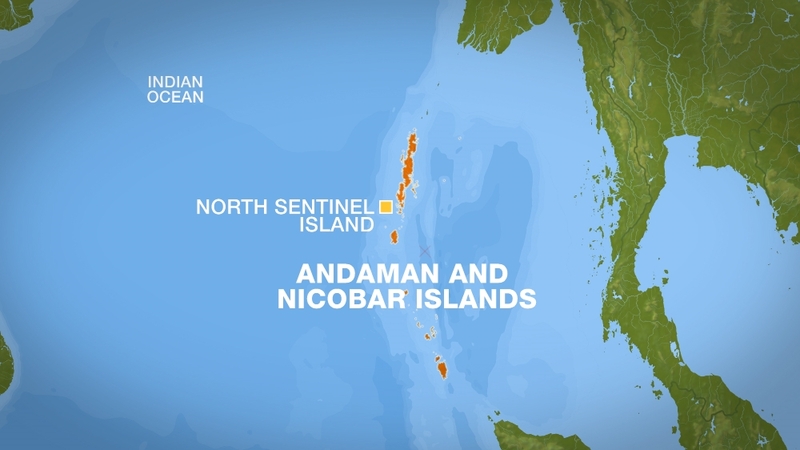 Dependra Pathak, local police chief, told AFP news agency that at this point the investigators were trying to interview two US missionaries suspected of encouraging John Allen Chau, 26, to go to North Sentinel in the Andaman Islands. The identities of the missionaries, a man and a woman, have not been given. They are known to have left India. The notice, which would have to go between the Indian and US governments, would only require the duo to answer questions. “We have initiated the process of serving them a notice to be part of [the] investigation,” Pathak said. Chau, who breached a strict cordon put around North Sentinel’s isolated inhabitants, was cut down in a hail of arrows, according to fishermen who dropped him off nearby, as he marched towards the Sentinelese tribespeople. Chau was killed in mid-November but news of his death emerged six days later. Seven people, including six local fishermen, were arrested for helping Chau travel to the remote island. All were granted bail this week. Police have sent a vessel close to North Sentinel twice in a bid to see where Chau may have been killed. They acknowledge that it is unlikely that they would risk provoking the tribe by setting foot on the island. The incident cast a new spotlight on efforts to protect one of the world’s last “uncontacted” tribes. Anthropologists and activists for isolated tribal areas have called on Indian authorities not to try to retrieve the body due to the risk of introducing diseases that could wipe out the community. “We are still awaiting the firm view of the Anthropological Survey of India and field experts,” Pathak said.